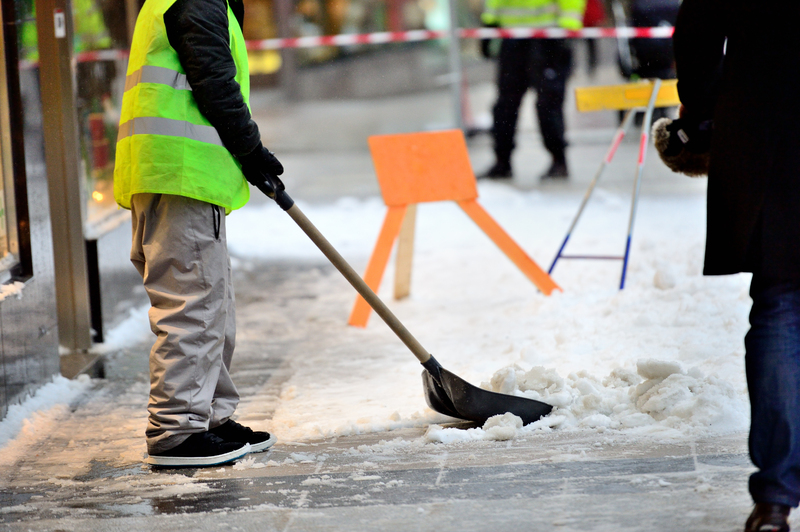 Injured From a Slip & Fall or Roof Collapse in New Hampshire? Winter in New Hampshire means snow! And there was lots of it this year. There is a growing concern of roofs collapsing in New Hampshire due to the record amount of snow this winter. The concern came true as heavy snow stormed parts of New Hampshire led to the collapse of roofs and loss of properties in different parts of the state. Devastation was worse in parts of Portsmouth, New Hampshire, where it caused havoc in many buildings. Because of too much snow, 500 to 700 residents were displaced after the roof of their apartment building collapsed. Thankfully, no one was hurt. The property owner and city officials decided to evacuate everyone until repairs has been made. Several schools in the area were also evacuated because of concerns about the amount of snow on the roofs. Fire crews were busy working on top of the roofs with shovels to remove the snow and help prevent damage to the structures. The displaced residents were provided shelter in Portsmouth High School. So who is Responsible for Snow Removal in Front of Local Businesses? There are hundreds of slip and fall injuries reported every year in New Hampshire. Business owners have a responsibility to keep the walkways in front of and around their stores safe for patrons to pass. This includes clearing large amounts of snow from their roofs. A man was buried alive in a roof avalanche in NH this year, He survived after being buried for over 3 hours until his wife came home and heard his cries. Another roof collapse incident happened in an apartment complex on Mammoth Road, in Hooksett. There are about 30 units in the building. One of the main beams supporting the roof collapsed due to the weight of heavy snow. The residents reported that they were awakened by loud noise and creaking sounds then suddenly the roof collapsed. An evacuation crew led by firefighters were quickly dispatched but had a difficult time sending people out of their homes since most were unaware of what had just happened. Michael Williams, Hooksett Fire Chief, reported that all residents were evacuated and that no one was injured. The roof would need to be shoveled first, and then the city’s building inspector would inspect the damage and determine if the residents could return to their homes soon. In other parts of the state such as Lafayette Road, Seabrook, the snow caused a huge part of the strip mall’s roof to crash. The latest snowstorm caused an additional twenty inches of snow in the town. The building owners said they were aware that the roof might collapse so they contacted a roofing company to clear their roof, but unfortunately no one was available. They’ve been trying to remove the snow on their own but it wasn’t enough as the inevitable happened. The damage was massive but fortunately no one was injured. There was no one inside the building when it collapsed. Harold Hewlitt, the Seabrook Fire Captain, confirmed this. There is no doubt that several residents were affected and would continue to be affected as the weather hasn’t yet shown signs of improvement. Injured from a Roof Collapse or Slip and Fall? If injured in a roof collapse or a slip and fall injury you should seek immediate medical attention and then contact an experienced injury lawyer. Our injury attorneys will obtain all your medical records, and investigate the facts of the incident. You need a lawyer who is familiar with the laws of New Hampshire regarding premises liability and has handled serious injury and complicated cases like this in the past. Our NH injury lawyers have the experience and to advocate effectively for our clients to bring their injury claim to a successful resolution.